Meet Lauren Berry. She’s the daughter of a member of the Junior League of Panama City and also a fourth grader at Holy Nativity Episcopal School. 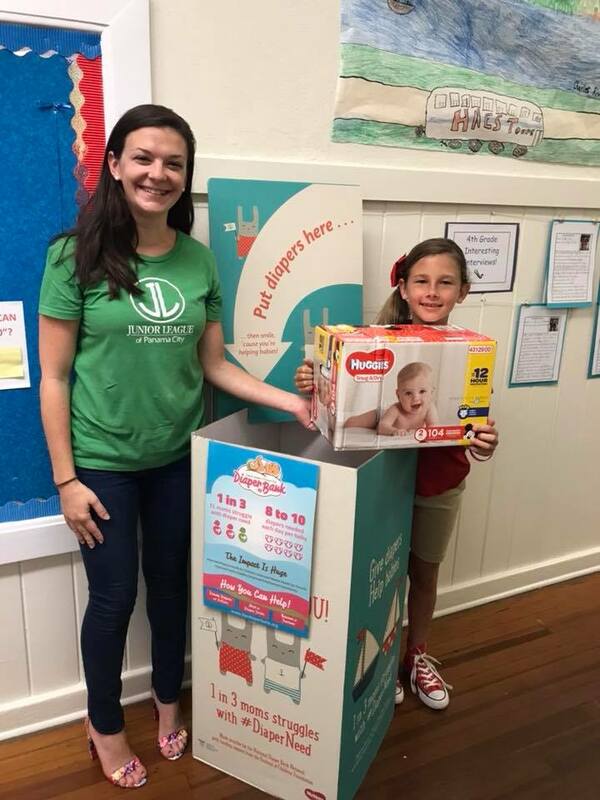 She is holding a diaper bank at her school and at her father’s dentist office to collect diapers during National Diaper Need Awareness Week!